Next > DC’s $15 Minimum Wage: What will its impact be? Thank you for this information. 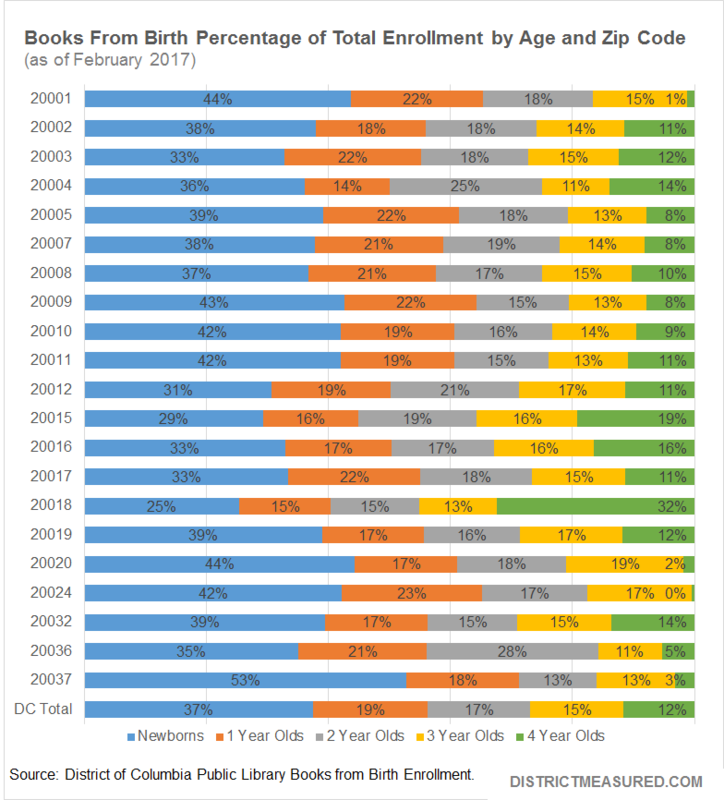 I have some questions which would make the DC data much more meaningful and which would allow for a more robust discussion about this program broadly and as an X policy intervention specifically. 1. Top of the list: Are the books being read? 2. 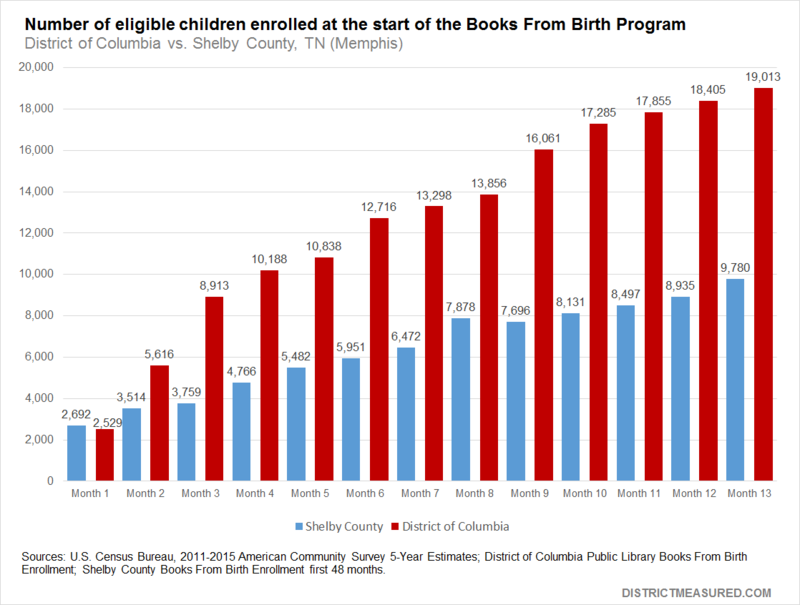 Is there a link between Books from Birth participation and learning outcomes? Yes, the children are young but in ECE settings and pre-k classrooms, children are assessed. 3. 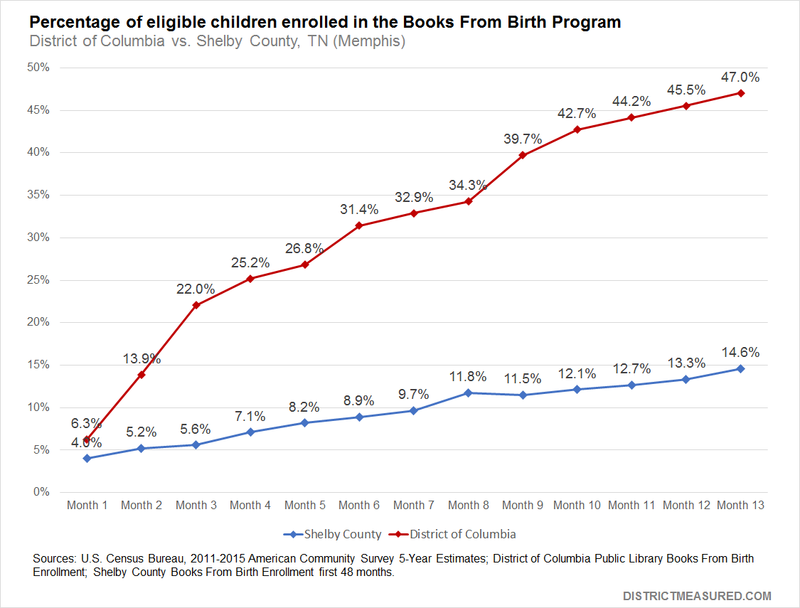 Do we have any sense of whether this program — and the reading of books to children — has a positive impact on parents? 4. Do we know if program participants are more likely to go to the library? Participate in library programming? 5. What are the participation goals for the program? For example, will there be a push to sign up more children in parts of the city with lower participation rates? Or, will the program do more to sign children up who live in the poorest and/or most under-resourced neighborhoods? 6. Is there a discernable difference between ZIP code and Census tract program participation?